The Lakesman in 2018 will feature the award winning full distance event, and also the brand new Lakesman Half! 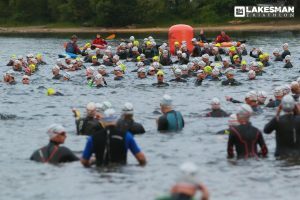 swim takes place in the crystal-clear waters of Derwentwater and the bike route takes competitors through the west coast of Cumbria where competitors get to experience a side of the lakes often unvisited by tourists, with mountains on one side and the sea on the other. Finally, during the run stage athletes will have the opportunity running through superb countryside with views to the likes of Skiddaw as well as a spectator friendly section through Keswick town centre.